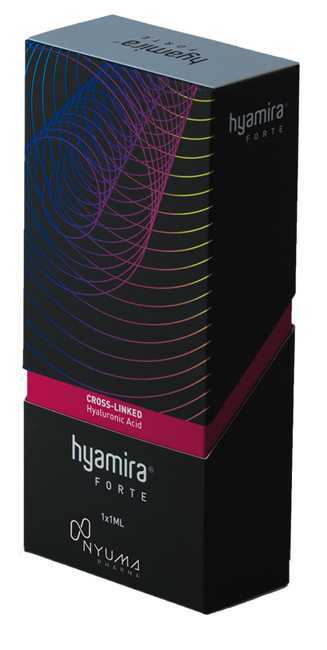 A viscoelastic filler, formulated to guarantee the maximum in terms of natural-looking results. 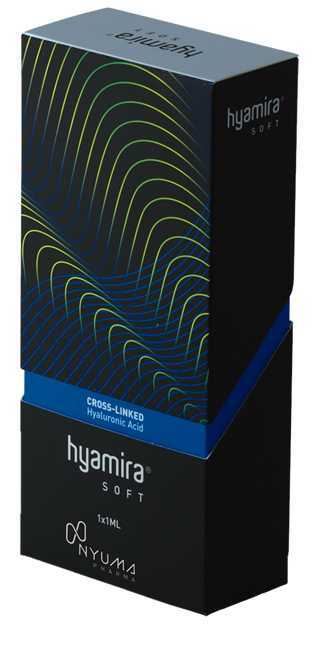 It integrates perfectly in the skin tissues, thanks to its rheological characteristics, keeping facial volume at the correct level, both statically and dynamically. 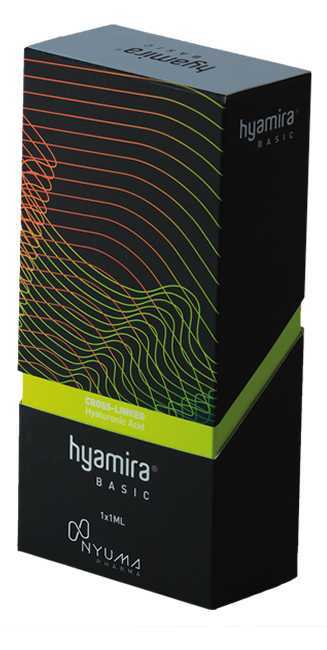 Thanks to the characteristics in the formula, Hyamira is reabsorbed into the tissues(4) with distribution kinetics that depend strongly on its infiltration depth. The results are a guaranteed natural look and enhanced appearance for the facial tissues.